1 ross and rachel | This Blog Rules | Why go elsewhere? Friends is one of the most iconic TV shows of the 90’s, a series which has both given us ridiculously high standards for friendship and has made us care about our dear friends even more. While definitely an iconic comedy at core, Friends was more than that. Aside from the plenty humorous moments, it knew how to deliver moments of drama and heart-wrenching angst. And the romance? Romance was a pivotal aspect of the story, of course, but no couple has toyed with our emotions the way Ross and Rachel have. Ever since we (and Rachel) found out about Ross’ more-than-amicable feelings for her, it’s been a constant rollercoaster with these two until the very end. Years later, their relationship still strongly holds up and here are the reasons why. Bringing up this iconic foreshadowing moment was inevitable. Phoebe may be a quirky person, but she has her brilliant moments and is remarkably perceptive of the things we wish other people would notice. Unaware of the consequence, Phoebe told Ross in Season 2 her theory about lobster mating. According to her, they mate for life and she knows it because she’d allegedly witnessed old lobster couples holding claws before. Either way, it seems that this moment was an eye-opener for Ross and the whole “lobster” deal became a recurring adorable synonym for soulmates. 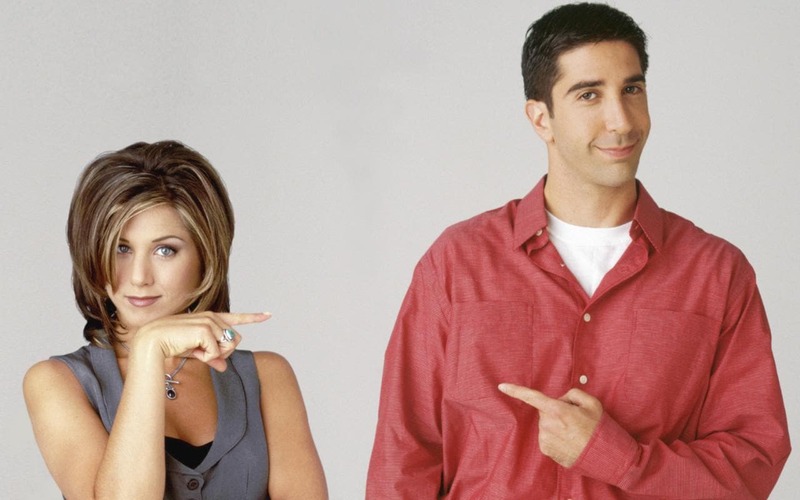 No other Friends couple has alternated between breaks and actually being together quite like Ross and Rachel, but ultimately, it was proven that they are indeed lobsters. What bloomed between them in Season 1 has managed to hold up against the obstacles that have been thrown along the way, proving that if two people are each other’s lobsters, their love is going to overcome anything. It’s an almost guarantee that the question on everyone’s lips ever since Rachel and Ross first gave in to their mutual feelings was “do Ross and Rachel end up together?” It wasn’t a question with an easy answer because there were many elements that kept constantly pulling them apart. From an apparent mismatch of characters to British girlfriends, and to numerous “breaks,” every Rachel and Ross supporter had a rough time believing in the likelihood of a happily ever after. However, arguably the most difficult moment for the pairing’s supporters was the big break-up in Season 3, the one that was so upsettingly official that nothing beyond that moment has ever been quite the same. Ross found a new girlfriend, he was going to get married to her almost a season and a half a later and basically all arrows pointed towards anything but a Ross and Rachel reconciliation. Season four culminated with a wedding which had Ross as a groom. Unfortunately, it was Emily who was his bride, so we knew we’d have to wait some more if we were to ever see Rachel and Ross married. Friends was airing during a time when big romances were peaking and when scenes of last-minute wedding crashing were extremely trendy. The beauty about these two is that before talking about the “lovers Rachel and Ross,” we’re talking about the “friends Rachel and Ross.” Their romantic adventure has been intensely built up to. After all, remember how satisfied we were when that Ross and Rachel kiss happened? Season 5 is filled with Ross’ attempts to win Emily back and Rachel seems to have fallen out of love herself. With all the romantic complications having been tossed aside, a door to their friendship has been re-opened and viewers got the chance to see a more endearing side of the pairing. Ross was wholly dedicated to his marriage with Emily and there was no doubt that he wasn’t pursuing a future with her that didn’t involve genuine feelings. However, push came to shove and Ross was faced to choose between his marriage and the prospect of possibly never seeing Rachel again. The balance leaned in favor of the unbreakable bond of friendship. Since Ross’ failed wedding at the end of season four, Ross and Rachel have been through a lot. And this time, it wasn’t just your typical “break, together, break, together” phase. They were nothing more than friends for a while, they drunkenly got married in Las Vegas, they remained married for a time, Rachel got pregnant, they had a daughter, and they bonded over their parental responsibilities. However, in all this time, they never actually properly got together in the official sense of the word. That was until the grand finale of the show rolled in. Rachel was boarded on a plane, ready to fly to her future far away from Ross, who was finally giving it his all to try and win her back. All of the drama and incertitude culminated with an iconic scene where Ross finds a teary-eyed Rachel standing on his threshold. She got off the plane! That was the moment that forever set in stone the fact that Ross and Rachel are, indeed, lobsters. 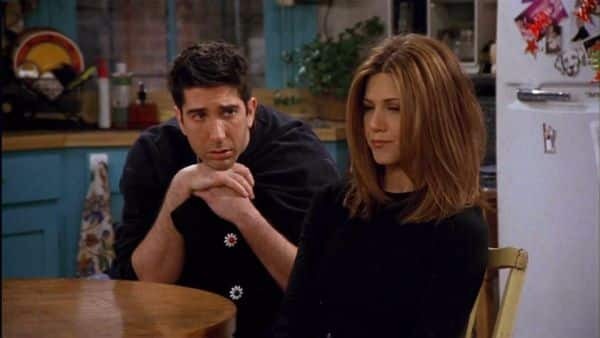 We can’t possibly know what life Rachel and Ross are living beyond the end of Friends, but we can only assume that, after everything they’ve been through, nothing has been able to separate them again. Ross and Rachel are messy, complicated, and a bit frustrating at times, but this is their charm. It’s what makes them real and perfect for each other.